Latvian airline airBaltic is making progress with its fleet rationalisation around the Airbus A220-300 type with the delivery of its 15th jet of the series. 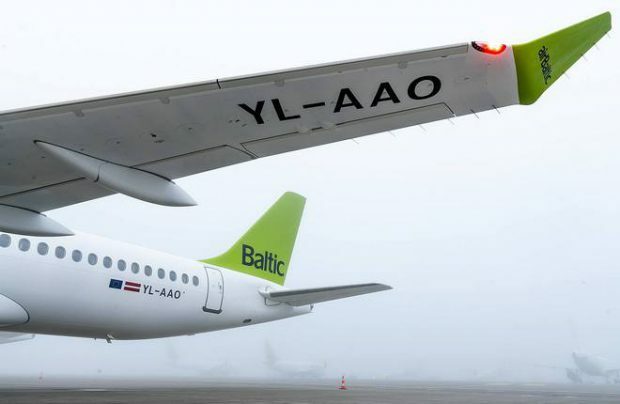 The latest aircraft, registered as YL-AAO, is on a 12-year lease agreement with lessor Avation PLC and was welcomed in Riga on March 28. It is the first Airbus A220-300 received this year, with seven more new aircraft set to join the airline’s fleet by the end of this year. Thus far, airBaltic has carried more than 2.35 million passengers on the Airbus A220-300 (formerly known as the Bombardier CSeries 300) aircraft in its fleet, with every second airBaltic passenger having flown on the type, and Airbus A220s have performed more than 23,700 flights and completed more than 62,000 block hours. Since the launch of these operations on December 14, 2016, airBaltic Airbus A220-300s have visited more than 35 countries and landed at more than 70 airports. Most often, airBaltic operates its Airbus A220-300s to Moscow, Amsterdam, Paris, London and Barcelona. airBaltic is to end its Boeing 737CL fleet operations in the autumn of this year, one year ahead of the original plan. The airline aims to minimise multi-aircraft complexity and therefore benefit from the additional efficiency of the Airbus A220 which will be its only jet type. In February, the hybrid airline transported 245,349 passengers, 14 per cent more than last year. airBaltic’s fleet currently consists of 35 aircraft: 15 Airbus A220-300s, eight Boeing 737CLs and 12 Bombardier Q400Next Gen turborpops.